Why have you decided to put your house on the market? Are you a growing family looking to upgrade in square footage? Or two empty nesters who no longer need three bedrooms since the children have grown and moved out? Perhaps you’re savvy with your finances and, after surveying a hot real estate market, decided now is the time to get the best return on your investment. Or maybe you simply want to move closer to work, friends or family. Regardless of the reason for selling your house, the process can be trying. While the majority of sellers in 2017 were selling a house for at least the second time — 66 percent, according to NAR — 34 percent were first-time sellers. And, with 77 percent of sellers 37 years and younger, that statistic may continue rising in the coming years. If you’re a first-time home seller looking for guidance, here are 10 of important things to consider when selling your home. The first step in selling your home is finding a real estate agent to represent you. 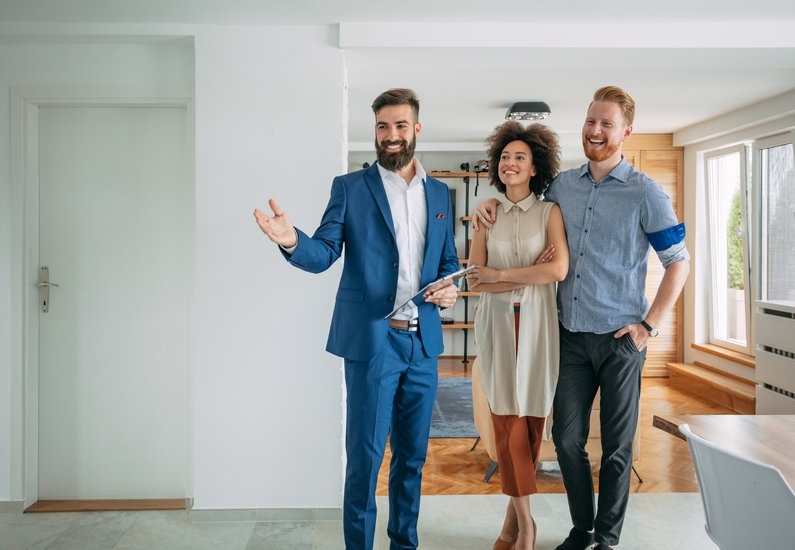 The most common way sellers — especially those 37 or younger — find an agent is through a referral from friends or family, but it doesn’t hurt to shop around. A common frame of reference is to speak with two or three different agents before making a decision. How do you decide which Realtor is best for you? Consider their overall experience, market knowledge and use of technology, as well as the general vibe you get from them personally. A home inspection is a large part of the home-selling process, but usually comes after both parties have agreed to terms … pending an inspection, of course. Some industry professionals recommend hiring your own inspector before you even list your home. A pre-listing inspection allows you to address any concerns discovered by the buyer’s inspector and, hopefully, alleviates unforeseen issues that could impact the sale. In addition to a home inspection, also consider doing radon, pest, chimney and/or septic pre-listing inspections, depending on which is relevant to your home. Again, it’s better to find an issue before you list your home than when you’re closer to the finish line. Selling a house isn’t as simple as posting it on eBay or Craigslist — it’s a major taxable event. Yes, the IRS provides tax breaks for homeowners, but your tax break depends on a number of stipulations, including how long you’ve lived there. Closing costs, capital gains and taxes are all financial issues to consider, as well as your current mortgage and town, city or county permits. Consult your financial advisor or tax specialist before selling. You can also ask your real estate agent if they have someone they can recommend. Once you’ve decided to sell your house and have selected an agent, there’s still quite a bit of work ahead. Your agent, based on their industry expertise and after consulting market stats, will have a good idea of how much your house is worth and how to price it when it’s listed. There could be room for improvement, however, by making a few updates that might increase your asking price and impact your return. Consider updating the kitchen (which can earn a return on investment of upwards of 83 percent) and/or bathroom (with an average return of 70.1 percent) or, perhaps, adding an outside deck or converting your home office into an extra bedroom. If your house fares well in those areas, a few minor updates can also help. A fresh coat of paint — stick to neutral colors — covers up any scuff marks and brightens the room for prospective buyers walking through. While the interior of your home is often cited as a way to increase value, the outside can also be a gold mine; some studies show that a well-landscaped yard can increase your home’s value anywhere from 5.5-12.7 percent. You don’t have to go to the extreme — something as simple as a fresh layer of rocks or mulch, as well as pruning the flower beds, will make your home look more appealing. After all, the outside of your home — or curb appeal — is a prospective buyer’s first look at their new potential home. Make it count. While a kitchen that pops and a bathroom that sparkles will stand out to prospective buyers, so too will the small details that might escape you. Think loose handles, burned out light bulbs and scuffed walls. Go through your home with a fine-tooth comb to ensure every window opens easily and all doors open without sticking, and close without creaking. One of the most difficult things for sellers to remember is that they are selling a house, not their home. Prospective buyers likely won’t find a refrigerator door full of Junior’s artwork cute, or that bulky family heirloom as charming as you do. If needed, rent a storage unit to keep your personal belongings and knick-knacks out of sight. Prospective buyers want to walk through a house they can envision calling their own, not one that belongs to a different family. Make the home welcoming by decorating simply and tastefully. Set the table, put out fresh flowers and consider staging your home with newer furniture. Be sure to arrange each room in a manner that promotes open space, so it appears larger than it is. Once you’re ready for your agent to list your home and invite prospective buyers in, be as accommodating as possible. It’s obvious, but worth remembering, that the more people who come through your house, the greater the chance that your home will sell. We all lead busy lives and, with work and family commitments, time might be especially stretched. But try to be flexible when it comes to confirming showing requests. Chances are, your house won’t be off the market after one showing. That’s partly what makes the home-selling process stressful, especially for sellers who still live in their home. It might seem like a second job, but do your best to always keep your house clean and ready for showings. The more seriously you take these steps, the more quickly prospective buyers will fall in love with your home and make you a serious offer. Want to know what your home is worth? Get your FREE report here!